This year we made it to the Melbourne International Flower and Garden Show. It is something we have discussed on many occasions, drooling over images in magazines and in the media. At last – we made it and we were not disappointed. 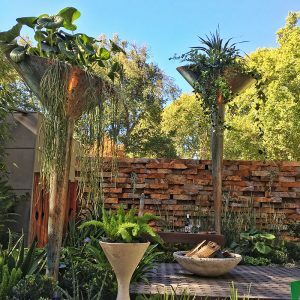 Exploring the inspirational Show Gardens at MIFGS we were blessed with beautiful weather which made wandering around the tree lined Carlton Gardens a pleasure. 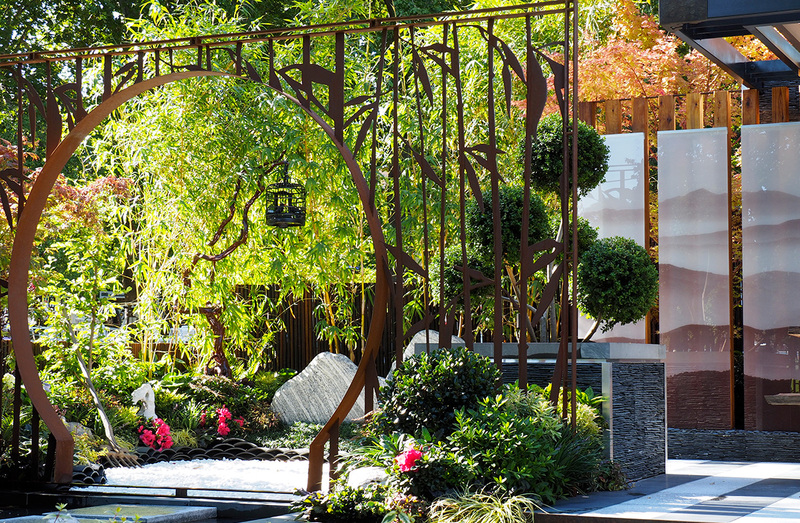 Today we wanted to share with you an insight into Show Gardens. Most of all we wanted to share some images of the sites we found inspirational from a Landscape Designers point of view. First of all, a show garden is just that “SHOW” and for a short period of time it is “SHOWTIME”. An opportunity for designers new and old to step up and inspire. 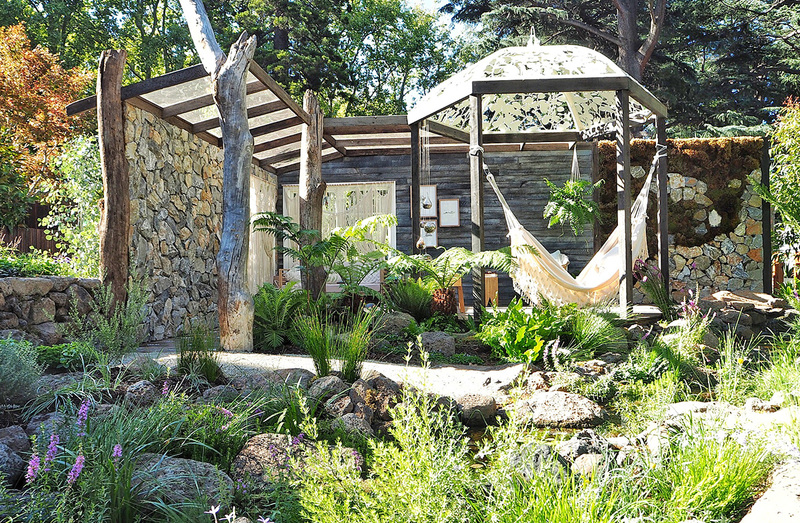 Many elements govern a Landscape Design. Under normal circumstances, a Landscape Designer has a number of constraints placed on them; including “the client brief”, plus working with the contours of the site and the architecture of the home. A Show Garden has non of these restrictions. Liberating a designer, allowing them to have some fun with design, pushing the boundaries, exploring different elements. It can be whimsical, it may be functional, or something completely off beat and way out. 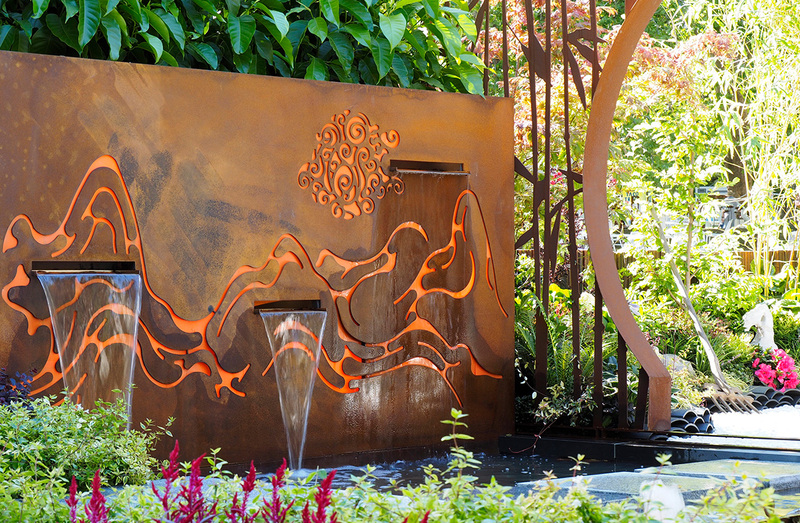 You may see an unusual mix of planting…or products and materials that stretch the imagination. 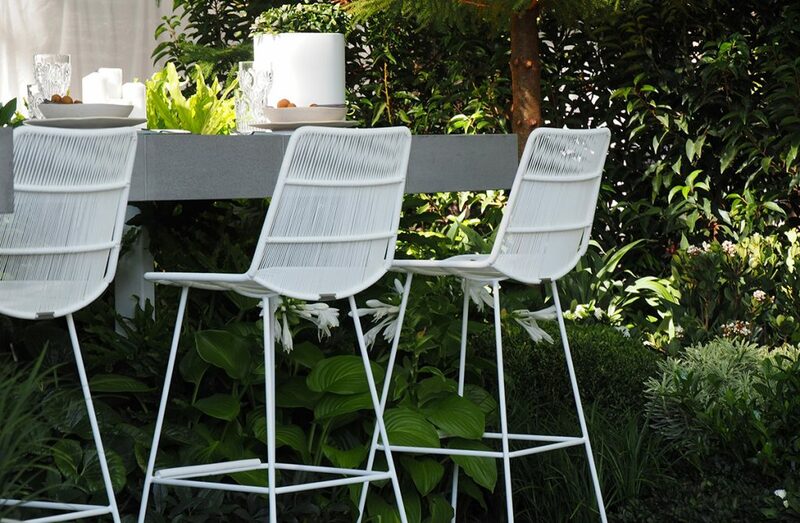 Show gardens bring together a passionate and talented group of designers. They push us to consider space in a different manner. They are the perfect forum for introducing new products and concepts. An opportunity to indulge the creative side, extending ourselves building gardens we normally ownly dream of. As designers, we find some of the unique elements truly inspirational. As horticulturists, we envy the palette of plants available in Melbourne; the colours and textures of the plants on show. The experience of building a show garden is amazing. Behind the scenes design and planning is undertaken many months in advance. Plants and stock ordered and partners are sort to share the load. The 8 or 9 days leading directly up to the opening are extremely intense and it becomes all consuming. Rain, hail or shine you are under the pump to build this fabulous display you have only dreamed of. Designers and contractors work long days and into the night; a tremendous effort is required to bring the displays to life. For many you cannot even dig a hole. Everything is build above ground. The designers and installers planning is meticulous; deliveries, building, setting up and the finishing touches, including styling. 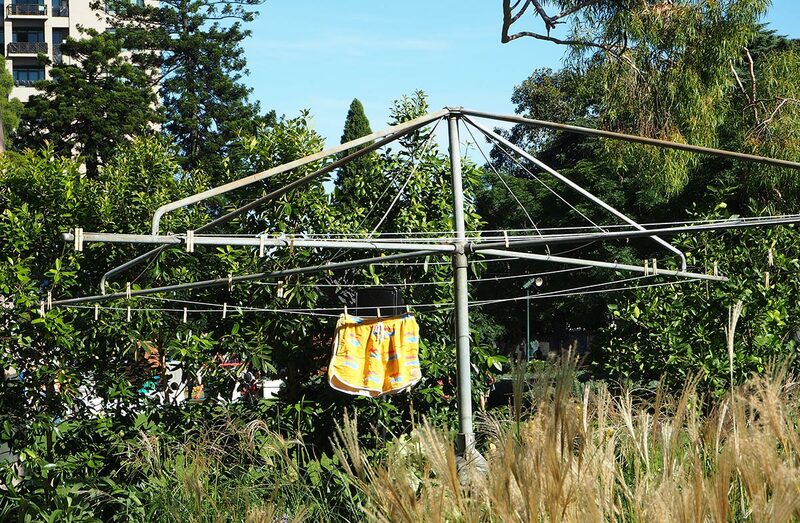 We had flashbacks to our own experiences of building show gardens in Perth. 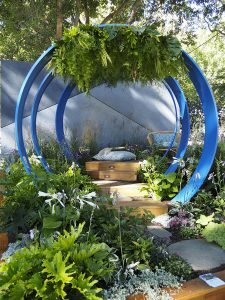 Therefore, we appreciated the effort undertaken to design, build and bring together such a great variety of Show Gardens. No matter what! Ready or not the gates open and it is “SHOWTIME”! The public stream through, for 5 long days and exhibitors are praying for the best weather Melbourne has to offer. Most noteworthy, we loved the concept of being able to stroll through the show gardens on Friday evening too. A magical time with wine and music highlighted by twinkling garden lighting. The amazing florist displays inside the Royal Exhibition Building were a gigantic bonus. We surprised ourselves, by how many photos of flowers we just had to take. Less know or discussed is the Viking Cruises High Tea, a great experience surrounded by flowers which we indulged in with a few bubbles! If you are going to the Show next year pop these in your diary too. We loved, loved, loved MIFGS. The location was beautiful. 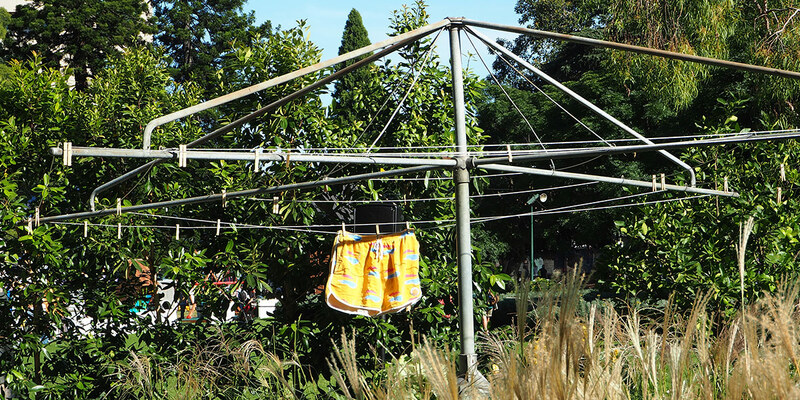 The Show Gardens were diverse and interesting. The designers were friendly and inspiring. We take our hats off to the designers and their teams who brought it all to life. See you in Melbourne next year!